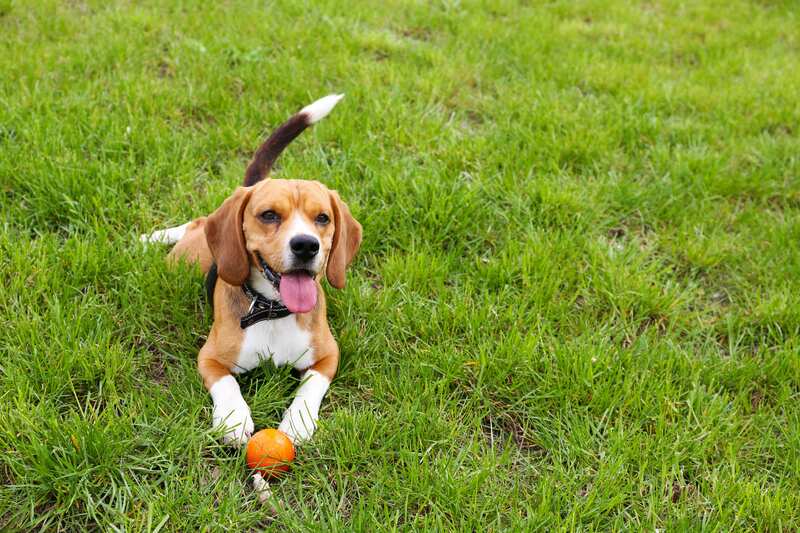 A safe and fun place to take our four-legged friends. 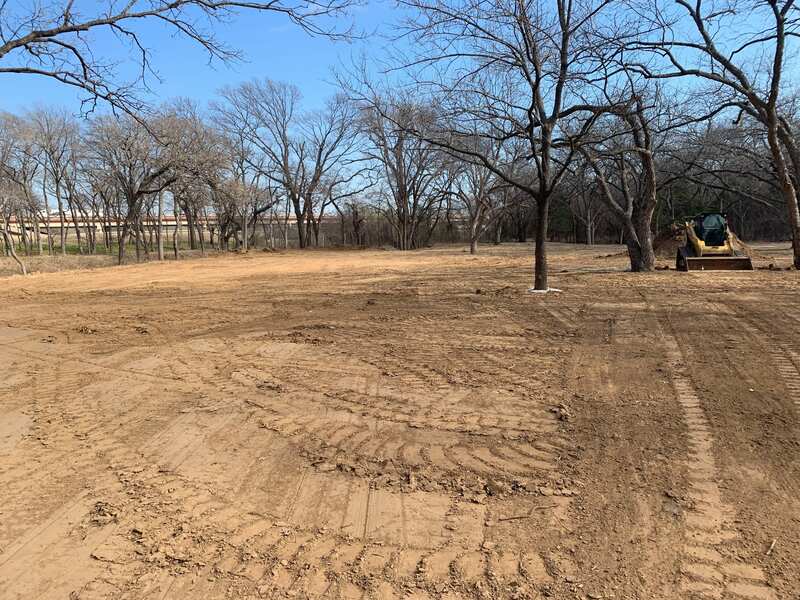 The Bear Creek Dog Park will provide a safe and fun place to take our four-legged friends. 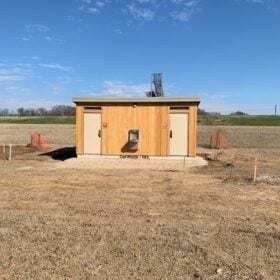 The park will feature six enclosed off-leash areas, also known as paddocks that can accommodate different size dogs and activities. 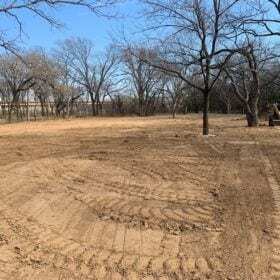 Some paddocks will be available for special events and parties. 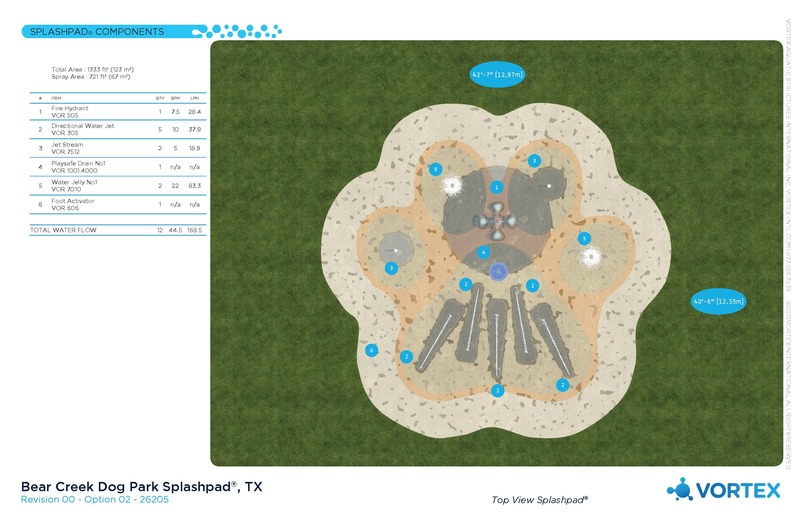 Special features include a splash pad, agility course, shade structures and an all – weather area. 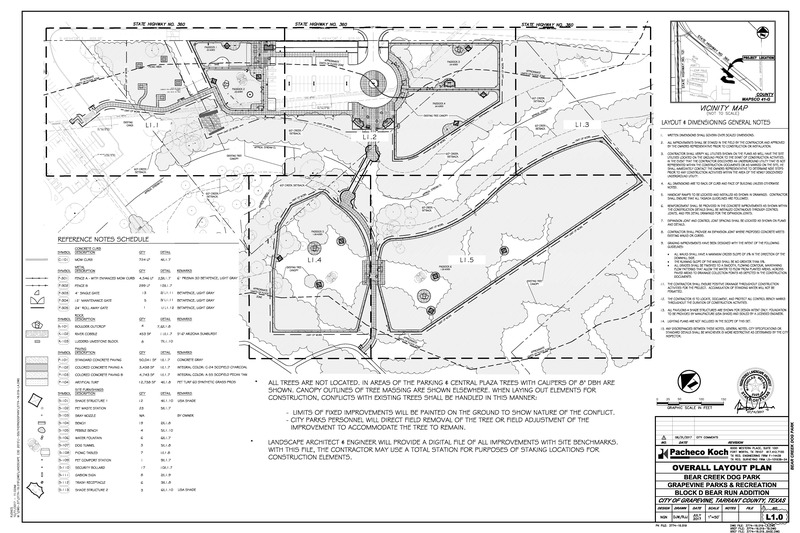 The park will encompass 14 acres on both sides of Bear Creek to accommodate all patrons of the restrooms and parking. 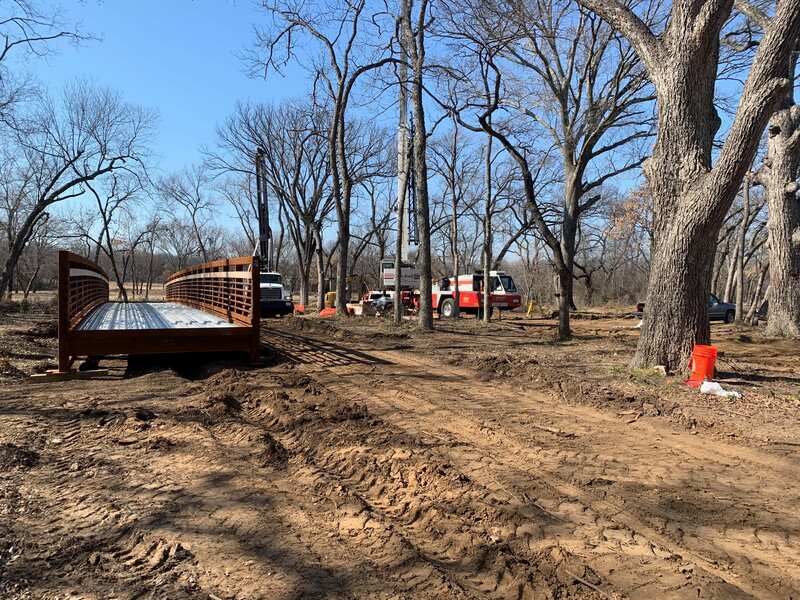 UPDATE: South on the 360 frontage road, you will see the park is well under construction. 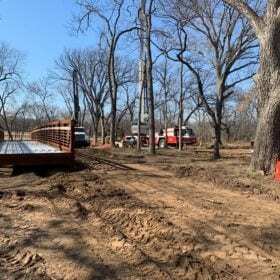 The bridge is on site and being installed, the restroom has been set in place, and grading for the parking lot and paddocks is underway. 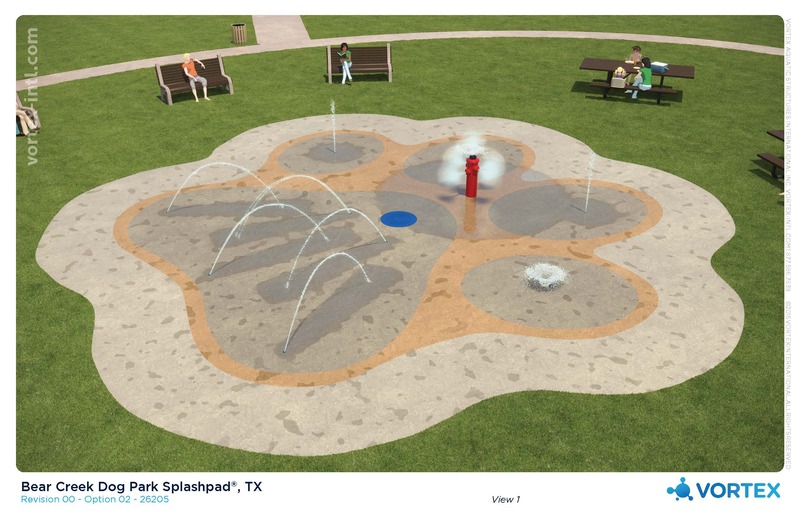 As early as next week (January 28), installation for the doggie splash-pad will begin. We sincerely thank you for your patience with the development of this project. As you are aware, we had a record breaking amount of rainfall, causing delays in construction. 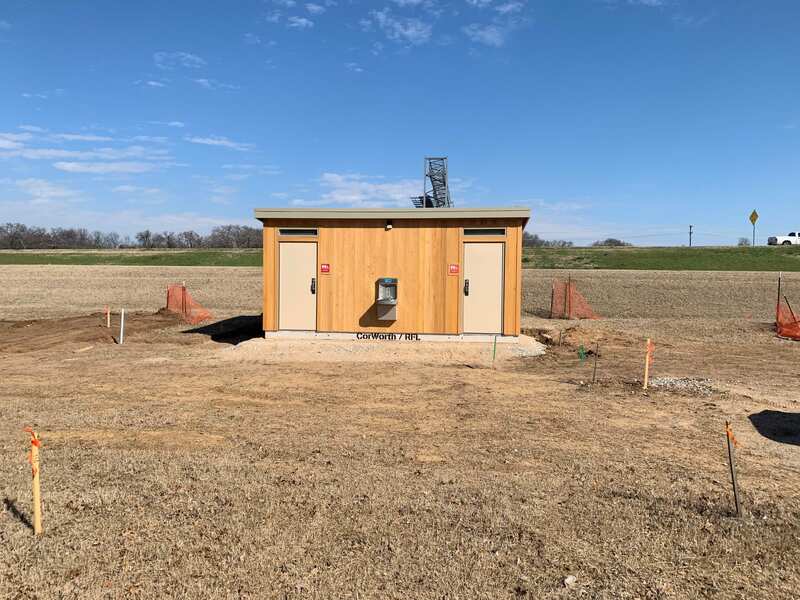 In addition, we had to set time aside for the Trinity River Authority’s partial installation of their 48 inch waste water line that serves the region. 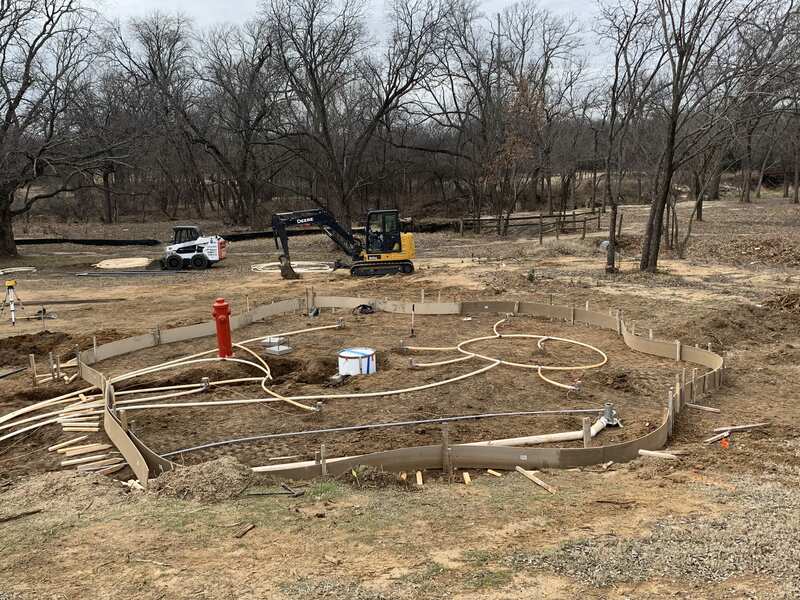 We are very excited for this project and can’t wait for you to be able to utilize the park with your furry friends, and family. 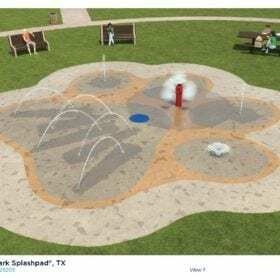 We anticipate a grand opening of the park in Summer 2019. 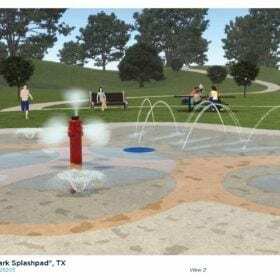 View the image gallery below for updated park progress. 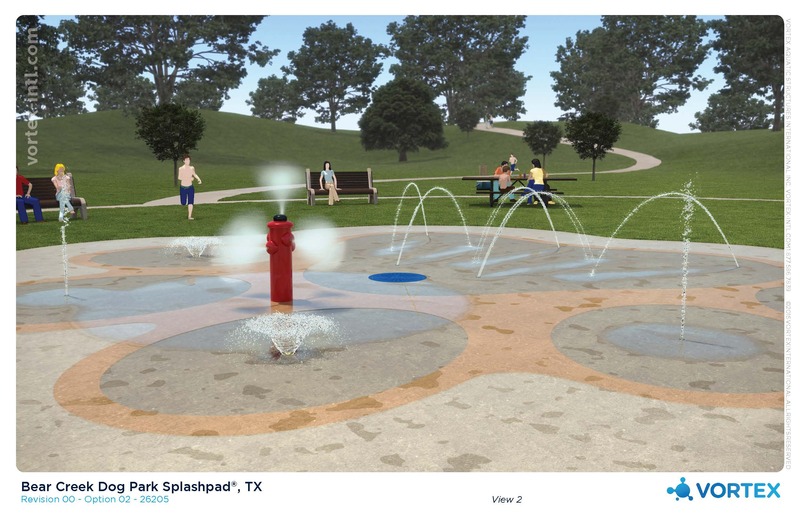 Check our our image board for Bear Creek Dog Park. 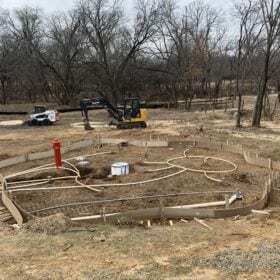 Construction is underway with completion date in Summer 2019.